Virat Kohli became the first Indian to score 2,000 runs in T20Is. The much-waited rivalry of the summer between England and India commenced with the first T20I of the 3-match series played at Manchester on July 3, 2018. Both teams are strong in their respective ways and coming off some big wins. 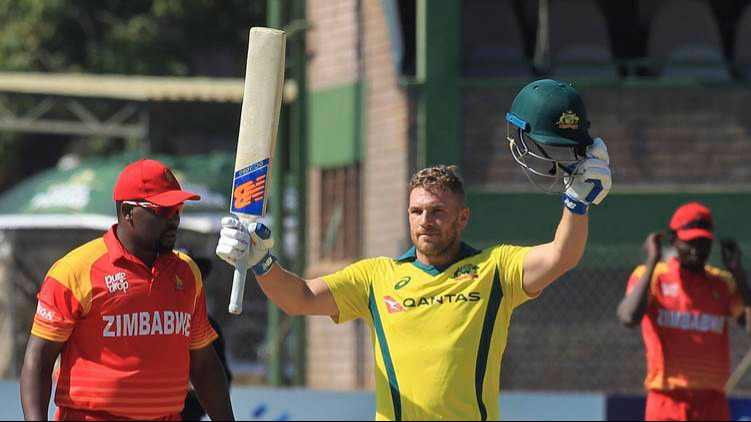 England whitewashed Australia 5-0 in ODI series and also beat them in the one-off T20I match. India, on the other hand, was coming off two big wins against Ireland. Virat Kohli won the toss and chose to bowl first. KL Rahul was chosen in the playing XI in place of Manish Pandey. England went in unchanged with the same XI that beat Australia in the one-off T20I. England started off spiritedly scoring at a great pace. Bhuvneshwar Kumar came in for some surprise assault from both Roy and Buttler. The pair added 50 runs in 5 overs before Umesh Yadav bowled Jason Roy off an under edge for 30 in 20 balls with 5 fours. 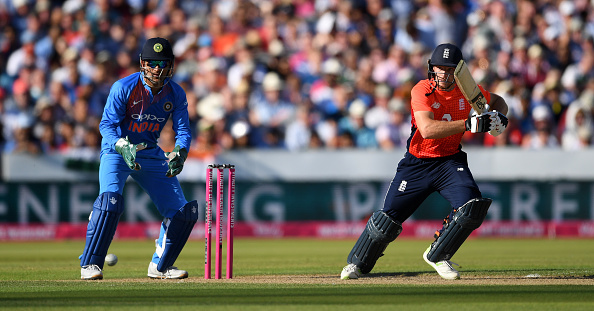 Buttler continued in his stride, taking Chahal to cleaners. But on the other side, Virat Kohli introduced Kuldeep Yadav who ran through the England middle order like a hot knife through butter. Kuldeep removed Hales (8), Morgan (7), Bairstow (0), and Root (0); with Root and Bairstow picking their first ducks in T20Is. Kuldeep also removed Buttler, who was starved of the strike by some good captaincy by Kohli, for 69 off 46 balls with 2 sixes and 8 fours. A total that was looking close to 180-190 when Buttler was going great guns became close to 140 with England tottering for 117/6 in 16th over. But David Willey took Bhuvneshwar Kumar to cleaner, scoring 29* in 15 balls with 2 fours and 2 sixes, to push the total to 159/8 in 20 overs. For India, obviously, Kuldeep was the pick of the bowlers with his first five-wicket haul in T20Is – 5/24. Umesh Yadav impressed too with 2/21 and Hardik picked 1/33. Bhuvneshwar (45 runs in 4 overs) and Chahal (33 runs in 4 overs) had a rough time in this match and might want to forget it soon. India’s start began on a sour note as Dhawan was bowled for 5 runs by Willey. But KL Rahul, who came in at no.3 in place of Suresh Raina, looked in place from the start and upped the ante, as Rohit Sharma took his time to get settled. Soon both the batsmen started to tee off and KL Rahul, in particular, took on the England spinning duo of Adil Rashid and Moeen Ali. With Rohit also hitting his stride, Rahul unleashed on the England bowlers and India bought up their 100 in just 10 overs. KL Rahul annihilated the England bowling attack, even going after the quicker bowlers and Eoin Morgan had no answer to the assault levied on his bowlers from both ends. Finally, Rashid ended Rohit’s innings at 32 off 30 balls with 3 fours and 1 six; also ending a partnership of 123 runs for the second wicket. Virat Kohli came in and completed his 2000 runs in T20Is, making him the fourth batsman to reach that landmark and the first Indian to do so. Rahul scored his second T20I hundred off 53 balls and became the second Indian batsman to score two hundreds in the T20 internationals. India completed the win with Virat Kohli hitting a big six and India romped home by 8 wickets. India went 1-0 up in the three match series with this emphatic win.